XIAMEN QUAN STONE IMPORT&EXPORT CO. Ltd (QSTONE), started in April 2006, with its orientation for overseas markets only. 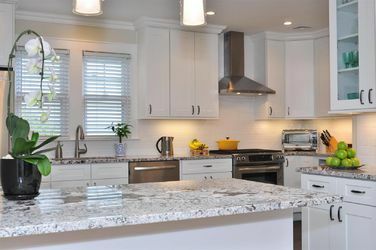 Our expertise is in all kinds of granite and marble materials, which have been involved in hotel remodeling, condominium and home improvement jobs in USA over the past decade. In addition, we have become well experienced in commercial and residential jobs with our wall panels, treads and risers, pavers, window sills and colunm claddings, so on and so forth. All these could be ready for installation as soon as they are pulled out of packages. We keep a keen eye on details. The area where we are located is so abundant in stone resources that we have easy and ready access to almost all the Chinese stones from our local block yards and quarries. Up to now, we have a record of 489 colors in andesite, basalt, granite, limestone, marble, onyx, porphyry, quartzite, sandstone, slate and travertine. Most of them are being displayed on our website. Over the past decade, an increasing number of import stone materials have been introduced to our area. You can find almost all the stones from around the world here in our block yards. 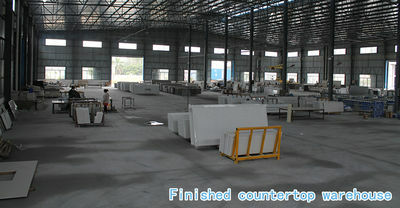 Many of them are being made into tiles, slabs, counter tops, bowls, sinks, and many other cut-to-sizes before they are exported again. In the first years of our commencement, we supplied only cut-to-size products for importers. But with the passing years, we have expanded our services to include both commercial and residential jobs. Also, we have enlarged our produts scope to include cast-stone, glass mosaics, metal mosaics and wrought irons. All these have proved very helpful for our customers. We provide sample for customers without charges and load in your container. For new customer, the courier cost of sample will be paid by you. The common size of sample is 150X150X10mm, 100X100X10mm. Our quality control division is well-established to implement strict and scientific quality control procedures. (including thickness tolerance, color vary, angle tolerance and finishing face). Relevant records was kept well, which is approved by SGS Auditors. We can assure fast offer, competitive price, good quality, timely delivery and excellent service after sales. Our products is exported to Europe, America, Middle-east. We welcome you or the third party to check the quality before shipping. 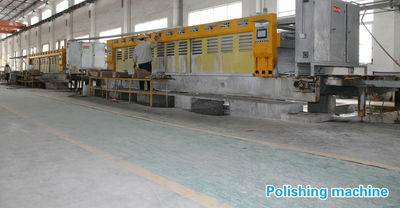 Welcome to visit and research the producing capability and quality in our factory. We are looking forward to establishing good busniess cooperation with customers. In 2006. July 12th, Our company starts with a small workshop about 3 people, Julia, Amy, and Mark. 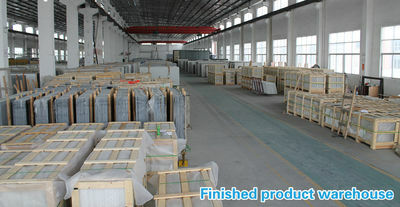 John are in charge of premium quarry blocks selection , Jack controlled the quality of products in our factory . and Mark was doing his best to connect with all kinds of customers. Amy said ," holy crap, Maybe the god don't wish us to keep this kind of stupid stone business, he want us to dismiss, Let's give it up, and find other things to do " But Mark stood up immediatly, "No, Amy, you are totally wrong, the god was testing us to check how we overcome this horrible tough difficulty .we believe we can stand up again ." Julia just looked at both of us and said " Let's do it, God just help the man who helps themselves "
In 2008, The same day , July 12th , with our hand and brain , our team are becoming 11 members. In 2010, Lots of men with the same hope join us , we have 20 team member now . In 2016, Manufacture and trading are connected very smoothly .our annual sales volume made a big breakthrough over $8,000,000.00 USD. 1, our company can provide one-stop service for all kinds of contruction hospitality renovation . 2, we can also provide all kinds of designs for architact's selection . 3, Our CAD drawing teams can make the shop drawings to match the custom's description and give some advance feasible constructive sugguestions for the detailed project . VERY IMPORTANT - THE FOLLOWING ARE GENERAL AND INFORMAL GUIDELINES FOR THE INSTALLATION OF STONE. IT IS NECESSARY TO VERIFY PROPER INSTALLATION METHODS ACCORDING TO PARTICULAR PROJECTS WITH THE STONE SUPPLIER, ADHESIVE MANUFACTURER AND INSTALLER. 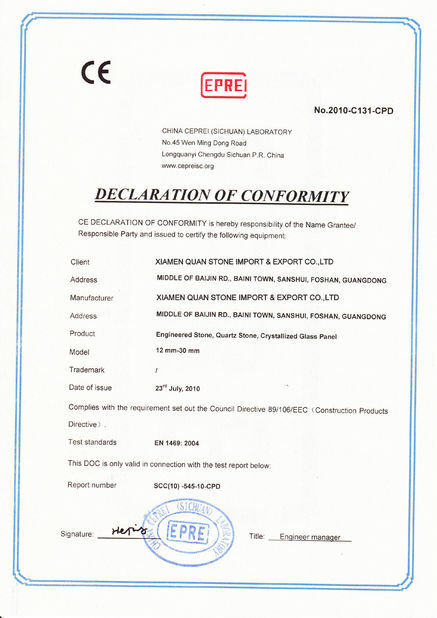 XIAMEN HUACHENG STONE CO LTD., IS NOT RESPONSIBLE FOR ANY OMISSION OR MISUNDERSTANDING OF THESE GUIDELINES. Handling of tiles is fairly easy because tiles are usually sold packed in 10 per box and the weight of the box is approximately 60 lbs. One person should be able to carry one box of tiles, and if the floor permits, a two-wheeler will be helpful to move the stone. It is important that the tiles be standing vertically. Handling slabs is more complicated. When the pieces are large and heavy, slabs should be loaded and unloaded with the proper equipment, a forklift with boom or an overhead crane. If the marble or granite has a polished face, the slabs should be loaded vertically with the polished faces touching each other. At the job site, the slabs must be carried in a vertical position. Slabs should be placed away from the job traffic area. The polished sides should be facing each other. Slabs should be resting vertically. If it is necessary to stack them, the slabs should be separated by a 1"x4" piece of wood. Check Your Delivery: Verify that the correct material was delivered. Once the material is installed, it is too late to make any changes. Sorting the Material for the Job: The success of a great marble job is the mixing and matching of the stone before installation. This step will always yield to a uniform homogeneous installation. Divide the area of installation into separate flat areas and allocate enough material for each area including some waste. If the material to be installed is tiles, all the boxes should be open and the tiles should be taken from all the boxes randomly. In this way, the installation will be uniform and the material will look homogeneous. Remember that stone cannot be inspected or appreciated by looking at just one tile. The only way to check stone is by looking at several tiles, mixing them and laying them flat together in order to appreciate the stone’s quality and color. The direction of the vein should be considered before starting installation. If there is not enough material to finish a complete section, the installation should not be started because it will be very likely that the additional material will have a different tone. Stone tiles can be installed by adhesive or they can be mechanically anchored depending on the size of the pieces and the application. A different method and adhesive is used if tiles are going to be installed indoors versus outdoors. The installation of slabs on fireplaces is recommended using mechanical anchors with adhesive for the vertical pieces. When installing horizontal pieces for countertops, it is recommended to use a non-staining adhesive. Joints between pieces should be grouted using the proper material and color. It is important to approve a sample of the grout before the job is done to avoid problems. The seams should be perfectly clean before applying the grout material. Sketch the countertops allowing for overhang on top of the cabinets. Include backsplashes and any cutout dimension. In addition, choose a finished edge for any visible edge of the countertop and backsplash. (See Edge table below). When sketching the countertops, take into account that the size availability of the slabs is approximately 102" x 62". Therefore, location of the seams is an important consideration. With a sketch and material alternative, contact a few stone fabricators and ask them for a quote and delivery time. The quote should include prices for templates, fabrication, and installation. Fabrication shops will require approximately 50% deposit to start the job. Before giving any payment, the customer should approve the material. When inspecting the material, one should consider variation, small imperfections in the stone, and particular markings on slabs. If there are concerns regarding the stone, the customer should try to see the actual stone to be used for their project. The customer should also know that stone is a natural material, so it has unique characteristics that cannot be changed. Fabricators or installers will fabricate templates. In order to be able to make accurate templates, cabinets should already be installed and fixed. Accessories such as sinks, cook tops, faucets, dishwasher screws, and any other related hardware should be purchased and at the job site location prior to beginning templates. 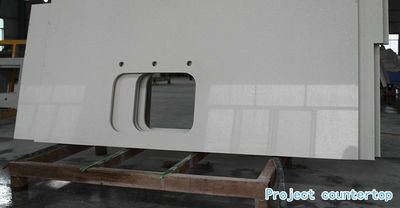 Fabricators will cut the stone and finish the edges as per order. Any changes may result in extra charges. Good seams and edges are an important consideration when looking at the craftsmanship and quality of a project. If the stone is going to be installed already polished, all the edges of the tiles should be beveled to allow the installer a small margin of error during the installation. The fabricator and installer will deliver the stone and install it at the job site. Usually, fabricators and installers require payment, (in full), upon satisfactory installation. In order to keep your in perfect condition, it should be kept clean. The most common way to maintain stone is to brush away dust. Stone should be washed with a clean, soft cloth and fresh water. A mild detergent can be used periodically to remove any residue that remains ingrained. These steps will save many problems with stone. Some stone suppliers recommend applying a sealer on the stone a few weeks after installation is completed. This helps prevent staining on the stone. The sealer should be reapplied periodically since it wears off after an extended period of time. Quan Stone group believe in total customer satisfaction. Our Staff is highly trained to provide professional and courteous customer service and a desire to share our love of Quan Stone. We'll assist you every step of the way in adding your projects to be a success. Quan Stone will assist and care in supplying countertops and vanity tops for hospitality & commercial projects. It will add value to your projects with natural surface stone granite, polished marble, and engineered quartz. Knowing something of everything and everything of something. 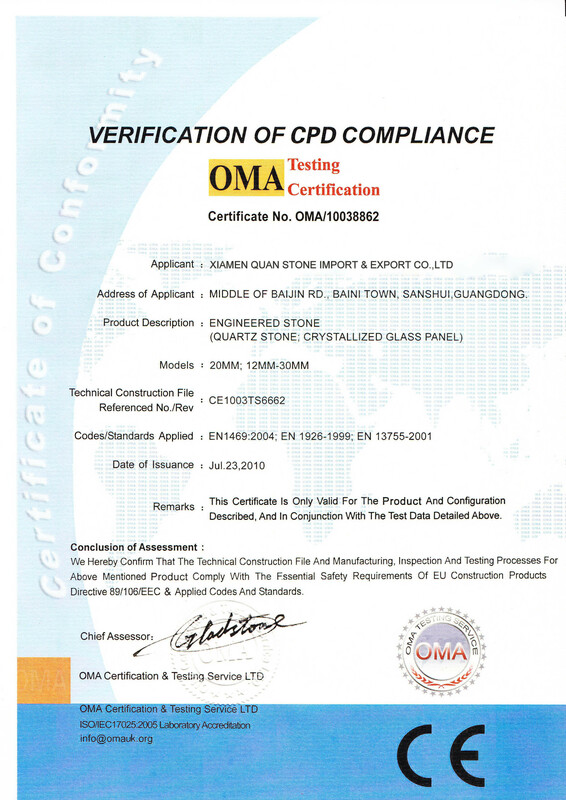 As the owner of Quan Stone, Mark has full knowledge of countertop and stone material. Also, he is a nice man to work with, that he loves families and personals than himself. Nothing will be out of control. Working as a production manager, Amy Yang has been part of Quan Stone for 11 years. He keeps his eyes on the whole production to take them into control and makes order arrangements in advance. I protect eyes carefully to keep each item perfect known by his preciseness, Simon Li has been working for Quan Stone for 11 years. Customers coming for products checking all admire and trust his profession after the inspection. "Provide service beyond customers expectation. This is the only thing I should do." Julia Lian is a valued member of Quan Stone family. Being an outgoing and thoughtful lady, she has been the sales executive for 8 years. She often goes out with her families and shares the beautiful she takes. And she enjoys reading books. That’s why she can understand customers easier and more quickly. Copyright © 2017 - 2019 solidstonecountertops.com. All Rights Reserved. Anling Rd No 987,YULONG Building No1 #508,Huli ,Xiamen, Fujian ,China.